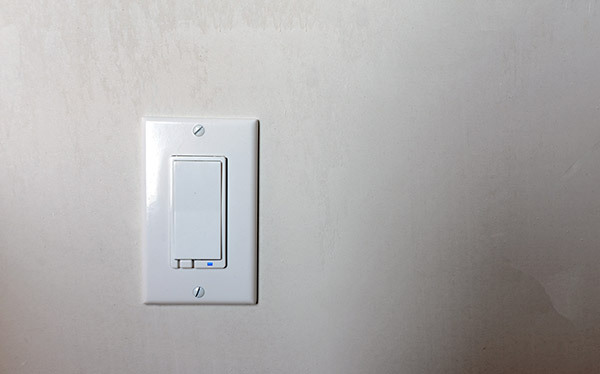 The Wall Mounted Dimmer allows remote ON/OFF and dimming control of connected lights. 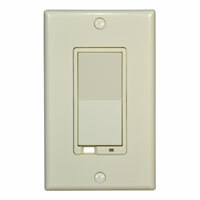 The Z-Wave Wall Mount Dimmer is easily wired in place of a standard wall switch. This device requires a Neutral connection. The Wall Mounted Dimmer integrates with other Axial Control enabled products, and can also act as a wireless repeater to ensure that commands intended for another device in the network are received (useful when a device would otherwise be out of radio range). This switch does not control a load directly. It can be used in existing 3-way applications as the accessory switch. It can also be used to detect the on/off/dim event directly from InControl and perform custom actions based on that event. The WD5005Z-1 Wall Mounted Dimmer allows remote ON/OFF control and dimming of connected lights. The Z-Wave Wall Mount Dimmer is easily wired in place of a standard wall dimmer. This device requires a Neutral connection. The WS15Z5-1 Wall Mounted Switch allows remote ON/OFF control of connected lights. The Z-Wave Wall Mount Switch is easily wired in place of a standard wall switch. This device requires a Neutral connection. The Wall Mounted Switch integrates with other Axial Control enabled products, and can also act as a wireless repeater to ensure that commands intended for another device in the network are received (useful when a device would otherwise be out of radio range). These units were previously installed in our demo home. This is a great deal for some lightly used z-wave dimmers. Each quantity purchased will result in 3 dimmer switches being sent to you. Demo units are checked before we ship them, but they are sold as-is, with no refunds. Demo units may not be in original packaging and may not come with original instruction manual. Everything you need to convert the WT00Z-1, WT00Z5-1, WS15Z-1 and WT00Z5-1 from the standard White to Almond. Kit includes frame, paddle switch and two screws.